Captain USCG Masters Credential, ASA Instructor through Advanced Costal Cruising 106. 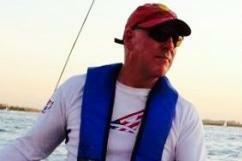 Racing and teaching experience throughout North East Waters and Biscayne Bay. Passage making and chartering throughout BVI, Belize, Grenadines. Drama free with emphasis on safety, fun and winning (races) in that order.